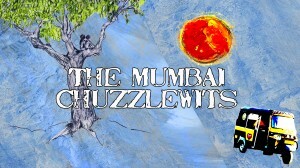 Re-play of the 2012 BBC Series “The Mumbai Chuzzlewits,” adapted by Ayeesha Menon from the Charles Dickens novel “Martin Chuzzlewits,” and transposed to Modern India. Produced by John Dryden of Goldhawk Productions. Convinced his relatives are after his money, miserly old recluse Martin Chuzzlewit (Roshan Seth), adopts orphan girl, Mary (Nimrat Kaur), to be his carer. As she will inherit nothing upon his death, he believes she will do her utmost to keep him in good health. But when his grandson Mickey (Zafar Karachiwala) falls in love with her, Martin’s plans are thrown into disarray. Disinheriting him, Martin triggers a complex web of deceit, betrayal and manipulation as the extended family and hangers-on close in, in pursuit of his fortune.